One of the perennial challenges for most underwater photographers is which lens to choose for a particular dive. This question is posed daily to dive guides at hundreds of locations around the globe and can often be pointless if your guide has no knowledge of photography and the capability of a particular lens. 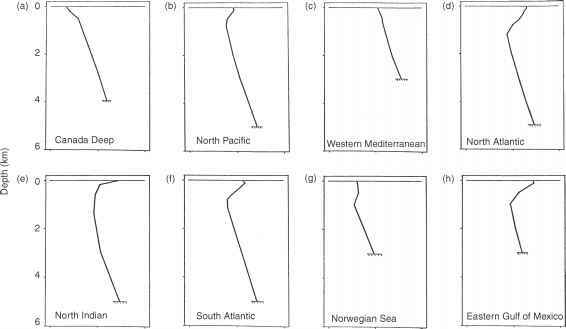 Ideally we need to be familiar with a site and its subjects, which is why returning to a productive location is so attractive even if it is half way round the world from home. This was my fourth visit to Bali to host a photo workshop based at my favourite location of Tulamben and it was the second or third visit for some of our group as well, so we had a good feel for what to expect. 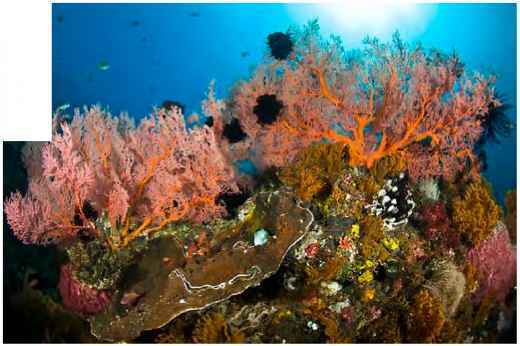 There are numerous excellent dive sites around Bali, but Tulamben must rank as perhaps the best simply because of the wide variety of dive sites and subjects within the bay itself, all of which are a short walk from your chosen dive centre - ours was Tauch Terminal which is situated in the centre of the bay. These include a world class coral covered wreck, classic volcanic sand muck, coral reef and a wall dive. 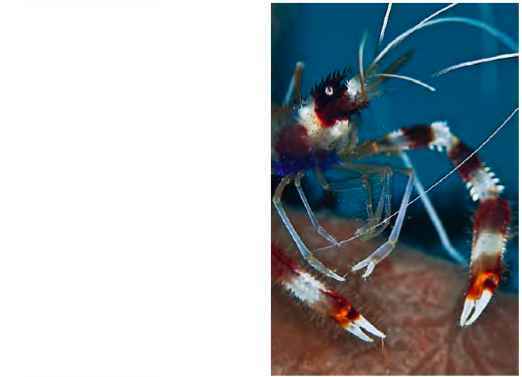 If you pick up a copy of Roger Steen's book 'Coral Reef's Nature's Richest Realm' you will be surprised at how many shots of unusual subjects are taken at Tulamben and there is always the chance to see larger denizens here unexpectedly. If the thought of beach diving might put you off then they have this covered as well - the local village has formed a porter co-operative serving all the dive centres. Your scuba set (tank, BCD and regulator) is carried to your point of entry and back again at the end of the dive, generally by women ranging in age from teenagers to retirement age who carry one or two (yes two) sets on their heads! They do this in worn out flip flops on the rubble beach, whilst we struggle in stout wetsuit boots, but the whole service makes diving here very easy. boat trip away using the local Jukung outrigger fishing boats which is a great fun experience not to be missed, whilst Amed is only 40 minutes away by road. I like to try and have several objectives for a trip so that you arrive with some focus and so my planning for the trip included playing around with a couple of different bits of kit. It is always a good idea to try and present a different perspective on common subjects that you may have photographed before. One way of doing this is to use different lens types or combinations of lens plus converters or diopters. For this trip I dusted off my now old Sigma 180mm f5.6 macro lens which on a DX format may be regarded as an extreme as it equates to a picture area equivalent close to 270mm due to the crop factor. For that reason I have not used this lens on digital as much as I did with film. The reproduction ratio is 1:2 on full frame, so the crop factor helps to bring it closer to an 'apparent' 1:1 at full magnification. However this tight framing makes it ideal for small shy critters that object to letting you come too close and the longer focal length and narrow depth of field gives a very pleasing soft focus background particularly at wider apertures. Although this lens has a maximum aperture of f5.6 I have never really noticed much of a reduction in light levels in the viewfinder for focusing. The lens works well with the AF on my D300 and although I have a manual focus gear on the lens I don't feel the need to use it. The great thing about this particular lens is that it is no longer than an extended 60mm macro and has internal focusing, so it can be used behind a 60mm or 105mm port. Having such a small picture area it can be a bit of a handful to aim to begin with, particularly if your subject is small and well camouflaged like a pygmy seahorse for example. The very narrow depth of field also means that focusing is more critical and you may find that you will reject a lot of images for being a little soft. 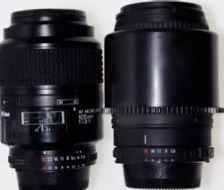 Sigma 180mm f5.6 macro (right) - considering the focal length, this is a very compact and light macro lens -shown next to the Nikkor 105mm AFD. Available on the second hand market it is worth considering ifyon fancy a bit of extreme macro photography. But the joy of digital is of course that you have far more frames available to get it right! This lens is no longer manufactured but can be found quite cheaply on the used market and is still supported by Sigma - I have just had mine serviced. 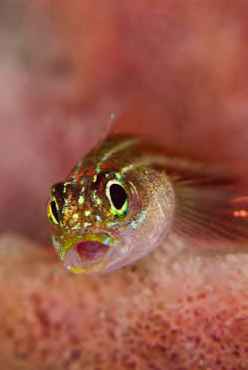 Triple fin blenny - using a macro lens with a longer focal length results in a very narrow depth of field and soft backgrounds. Although the longer lens allows you to shoot skittish critters from a greater distance you do have to concentrate a little harder on your focusing. Nikon D300, Subal ND20, 180mm macro, Inon Quadflash, ISO 100 fS 1160.
of the port. If you are shooting wider apertures then strobe power will not be such an issue. Banded shrimp - one advantage of a macro lens with a longer focal length is that is occasionally allows you to gain an unusual view or composition of a common subject. I found a group of banded shrimps hanging under the shade of a steel cable drum. With a 105mm I was invading their space and they would back off into the shadows but with the 180mm I was able to get a head and shoulders portrait with some natural light behind the subject. Nikon D300, Subal ND20,180mm macro, Inon Quadflash, ISO 100f81130. of field and although the colour of background is visible it has a pleasing soft texture that does not fight with the main subject. Another advantage of a macro lens with a longer focal length is that is occasionally allows you to gain an unusual view or composition of a common subject. I found a group of banded shrimps hanging under the shade of a steel cable drum. With a 105mm I was invading their space and they would back off into the shadows but with the 180mm I was able to get a head and shoulders portrait with some natural light behind the subject. Does the lens have good bokeh or bad bokeh though? I personally don't dwell on this too much and it seems OK to me, but I will leave you to judge for yourselves. Dome ports seem to stir a lot of discussion and angst amongst photographers when it comes to deciding which is the best. The current trend is towards ever bigger glass domes with multi coating, particularly to accommodate lenses like the new Nikkor 14-24mm which is gaining a reputation for being difficult to set up on the latest FX cameras. Glass domes will in theory give superior performance over perspex and you will certainly need a larger dome to get the best out of a rectilinear lens that cannot take a diopter. However, although I have owned several glass domes, I find that I still prefer to use smaller perspex domes which are so much lighter in water and of course (maybe more importantly now!) for travel. With fisheye lenses the dome size is not so critical due to their close focusing properties and the curvature of the image produced. I am always on the look out for something new and for this trip was loaned a particularly nice compact dome to trial with my Subal housing. 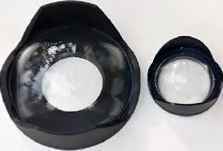 If you follow the various options in the market you will know that Nexus also offer very compact domes for fish eye lenses and this one is visually very similar. Little and large - the mini dome alongside a SnbalFE2 dome shows the significant size difference. Whether a dome like this siuts you will depend largely on the lenses like to use and type of images you favour. without the broad width of a dome shade to cast a shadow. and turn them out a little to avoid hot spotting. You still have to keep the strobes well back of course which can cause problems with shadows from the housing - each subject will be different and it may take several frames to get the best result. The wreck of the UAT Liberty has to rank as my favourite dive in Tulamben Bay as it is suitable for so many different techniques and lens options. It is a large wreck but once you have dived it a couple of times it becomes easier to identify markers or way points which will help you to return to a particular area or subject. The visibility is often best early in the morning so the first dive of the day is generally wide angle. But when composing scenics or larger subjects I am constantly looking for macro opportunities for later in the day. For example, there are many sea fans on this wreck which make great wide angle compositions, but they are often home to tiger cowries, hawk fish, ghost pipefish and in one case pygmy seahorses. So it is worth making a close examination before and after your wide angle shot and then memorizing the location for later in the day. There is just about everything you would find on a reef here plus the graphic shapes of the wreckage as backdrop. On the way back to the shore you can even indulge in some muck subjects on the dark volcanic sand and amongst the rubble or try and capture an image of garden eels, perfect for a safety stop. sharp eyes. On the short swim from the wreck to the reef area are two sea fans which are home to pygmy seahorses in only 12m and 18m which gives you plenty of time to capture an image of these tiny and evasive critters. 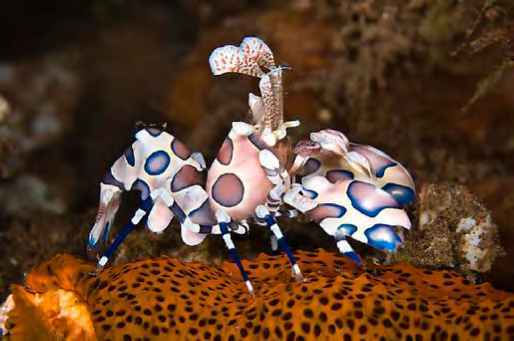 Harlequin shrimp - these shrimp are a spectacular macro subject and once found are normally qidte co-operative. When the giddes find a pair they normally keep their larder stocked for them with starfish to encourage them to stay in place. Nikon D300, SubalND20,60mm micro, Inon Quadflash, ISO 100 f!611180. of nudibranch, Inimicus scorpion fish, clown frog fish, flambuoyant cuttlefish to mention only a few. 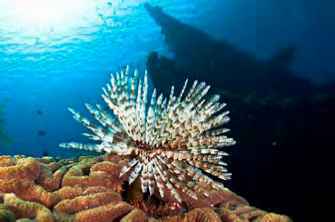 The artificial reef structure is also worth a visit and slow inspection as ghost pipefish, weedy file fish, cuttlefish and scorpion fish are often seen. 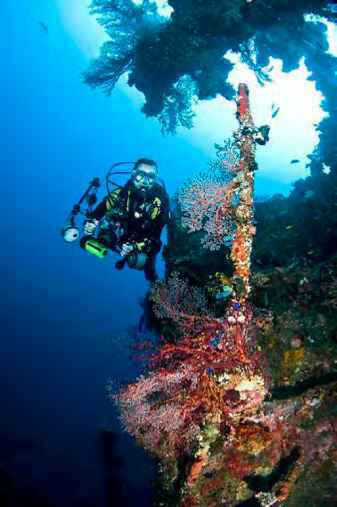 A short jukung ride to the north of Tulamben is the small village of Kubu which has a very healthy reef structure just offshore. There are two reef areas here divided by a sloping wide sandy gulley. On the northern side the coral growth is more intense with a dense carpet of miniature staghorn corals covering a submerged volcanic spur. On the southern side the coral grows more in individual bommies with dark sand muck habitats between them. Here we encountered schools of bat fish and barracuda, swarms of glassy sweepers and yet more pigmy seahorses on a fan at 25-30m. 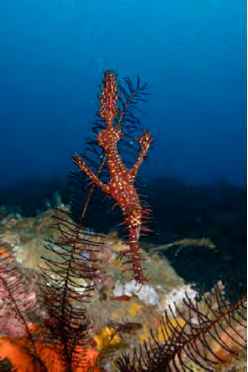 There are also numerous sea whips with commensal shrimps and gobies in various hues and it can be a good place for clown frog fish - search carefully amongst the sea squirts, sponges and hydroids. The shallows are also home to ribbon eels (black, yellow and blue), the usual array of nudibranchs and some well camouflaged peacock flounders. But do watch out for the aggressive clown fish who seem to delight in nipping an ear or a finger when you are not looking! Having traveled all this way you should not miss the opportunity of seeing what else this wonderful island has to offer. Away from the tourist hot spots of Kuta and Sanur the pace of life is totally relaxed and the scenery amongst the volcanic highlands, jungle, sculpted rice terraces and temples is simply stunning. If you are keen to experience a little culture then Ubud is worth a visit - this is the craft centre of Bali and has a fantastic market area as well as numerous shops, workshops, temples and a museum. It is also the place to see the traditional Balinese dances and shadow puppet shows and a good central point to tour the island from. We are all fretting about the credit crunch, but perversely this may have a positive effect on long haul travel. With the price of oil dropping so dramatically the airlines operating costs will fall and fuel surcharges should reduce or disappear, so the cost of travel should come down. Once you have reached your far eastern destination the cost of living and diving is perhaps cheaper than other popular destinations, so now could be the time to plan your trip.